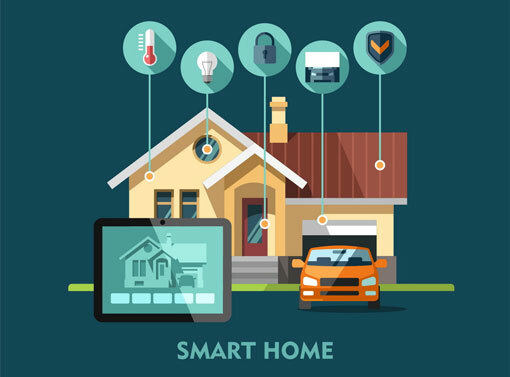 Americans expect homes will have at least one piece of smart home tech in them within 10 years, with smart homes being as commonplace as smartphones by 2025, according to a recent study underwritten by Intel. And that prevalence of smart tech is expected to come with some big benefits. The number one advantage of the smart home? More time to spend with family and friends as gadgets take over some of our daily household chores. 23% of Americans hoping for a virtual housekeeper and 10% a virtual babysitter. That could mean improved relationships, less stress, and even, according to 10% of respondents, a better marriage. But of course new technology doesn't come cheap. Looking at the smart tech we have right now, Kwikset's Kevo smart keyless entry system costs $188 on Amazon while a conventional Kwikset deadbolt costs only $30 on Amazon. Subscription fees can add to the cost of smart home tech, too: Nest's Nest Cam home monitoring system will cost between $100 and $300 a year if you want video history or customized alerts. So it's no surprise that study respondents were concerned about costs, with 67% uncertain about potentially pricey maintenance fees. To offset costs, respondents hoped for tax incentives (78%) or tax credits (73%) for adopting smart home tech, or discounts in exchange for allowing companies to see their smart home data (54%). There are tech hurdles to overcome, too. After all, a problem with your smartphone may mean you have trouble making calls or answering emails—but a problem with your keyless entry system could mean you can't get into your own home if you forgot your physical keys. 70% of survey respondents are worried about potential hacking, 64% are worried about glitches, 63% are worried about connection problems and 45% are worried about password issues. That's a lot of worry to go around! Even with these concerns about pricing and problems, Americans are optimistic about the future of the smart home with 87% of respondents willing to integrate smart tech into their homes. With the promise of less time spent on the daily grind of household cores and more time spent with the people we care about, it's hard not to be optimistic.